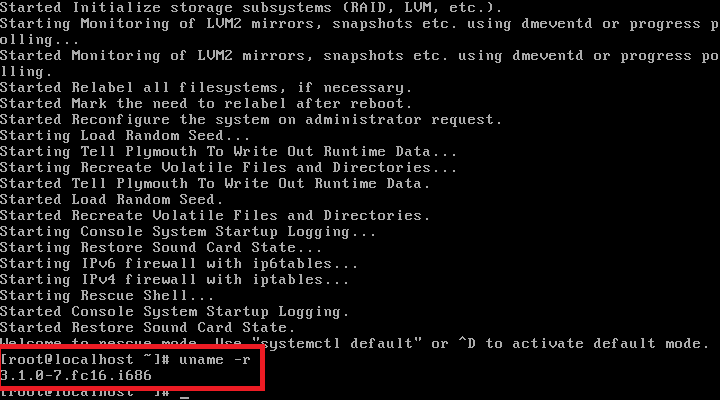 Single user mode is one of run level in Linux; this is also called as Init 1, in this mode all the filesytems will be mounted in read-write mode and can be modified by anybody; this is very insecure because it won’t ask password for login unless you have configured grub password. In this mode networking services (NFS, NIS, DNS and many more) won’t start, it is mainly used for troubleshooting system and administrative tasks by the super user. Here is the small tutorial about entering into the single user mode in Fedora. Step 1: Power on or Reboot (if it is already running) your machine. 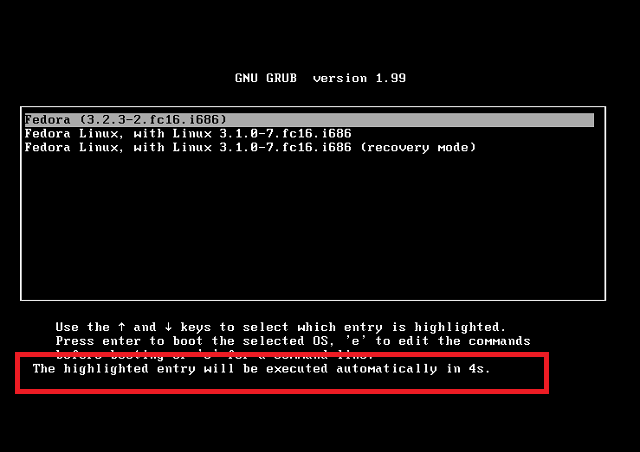 Step 2: While booting you might see the splash screen like below, grub is counting the time to boot the default operating system as mentioned in /etc/grub.conf; this time press up or down arrow to interrupt the auto boot. 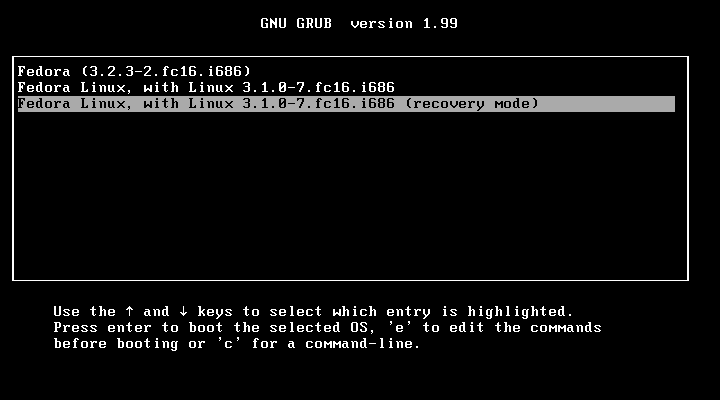 Step 3: This is called Grub menu; it will list operating systems (in my case only Fedora installed with three kernels including recovery kernel). In fedora its very easy to go to single user mode because by default it has the recovery mode. Select and Enter to boot recovery kernel. 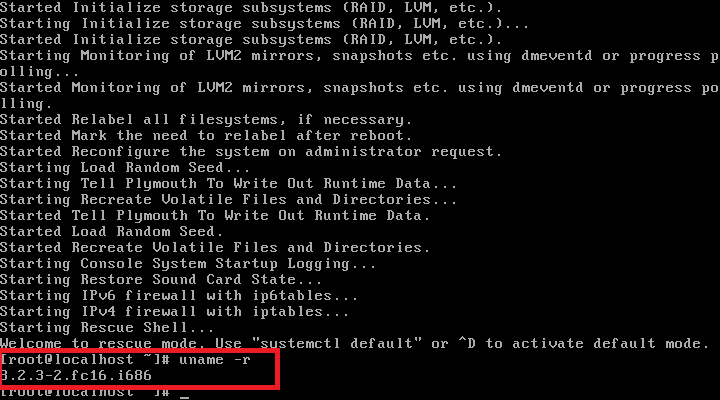 Now you should get the command line mode with root privileges (without entering password). Now you can start to troubleshoot your system or can do maintenance of your system. Confirm your kernel. That’s all. 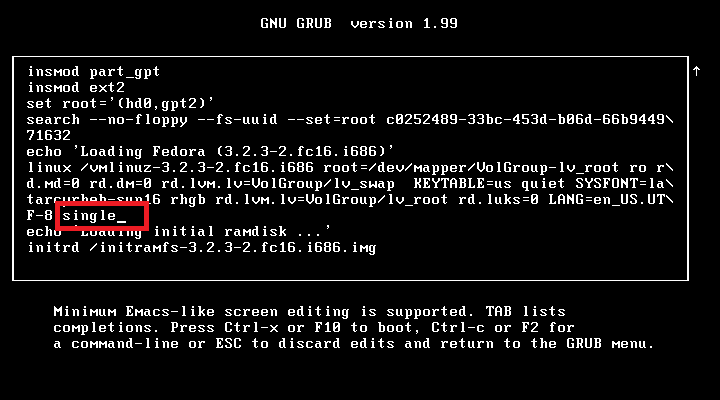 Step 1: Once again have a look at grub menu, you might see the three kernels which are for fedora 16. 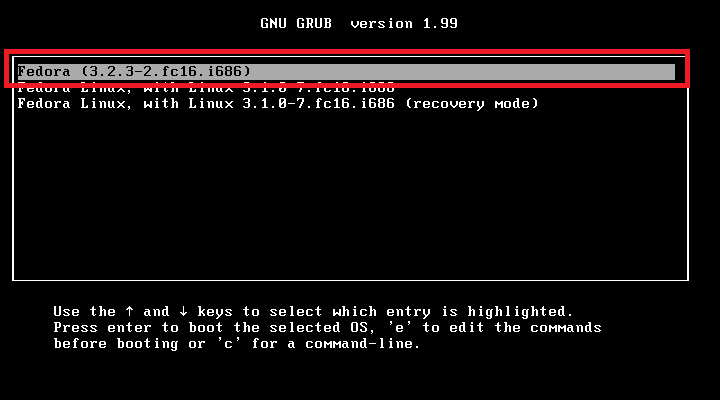 Previously i have used the recovery kernel (3.1.0-fc16.i686) for rescuing the system of Fedora Linux , with Linux 3.1.0-7.fc16.i686, but i have the problem in updated Fedora Linux (3.2.3-2.fc16.i686) kernel; it doesn’t have separate kernel for recovery. We need to manually add the parameters to boot in single user mode. 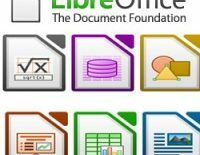 This guide for the people who has updated kernel installed on your machine. If you want to enter into single user mode; select the updated kernel and press “e” edit arguments of kernel. Confirm the updated kernel. That’s all.